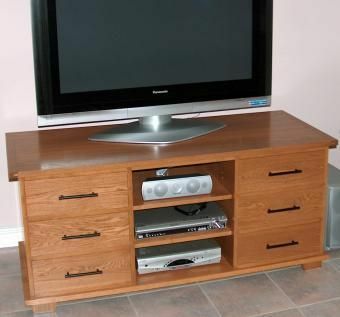 This console was designed for this space and this 42" TV. The drawers are sized to take DVDs standing on edge so the spines can be read from above. The shelves are adjustable. The back looks as good as the front. 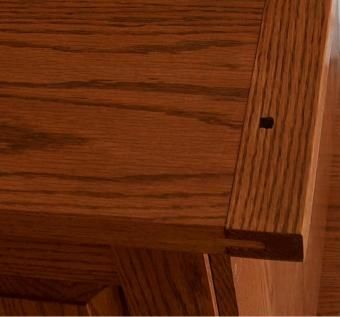 The top features breadboard ends with ebony pins. The whole unit is solid oak, including the raised panel drawer bottoms and the raised back panels. 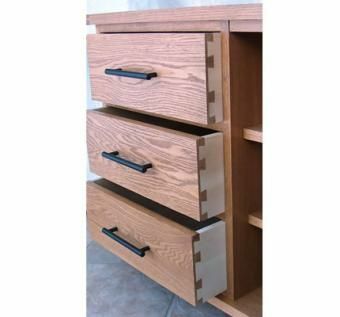 The drawer boxes are made of quarter-sawn maple. Dimensions: H 26" X W 57" X L 23"